The course starts with a simple introduction on writing secrets, revisiting the cryptographic techniques already used by the Romans and the Spartans. We will also see how to analyse such ciphertexts to discover the hidden secrets. We then will discuss somewhat more advanced cryptographic systems and discuss how to analyse these as well. The principles used by the Romans and Spartans together still form the underlying principles of modern-day cryptography, more specifically we will discuss two modern cryptographic systems (DES and AES) as an illustration. The next part of the course is about public-key cryptography. You can think of this type of cryptography like padlocks: everyone with an open padlock can close the padlock, but you cannot open the padlock without the key. We will discuss two public-key cryptographic systems (RSA and ElGamal), and for those that have the guts, we will show you not just how, but also why they work. The final part of the course is devoted to building security features out of cryptographic building blocks. We will discuss digital signatures, certificate chains, hash chains, etc..
Hugo Jonker is an instructor in this course, Assistant Professor in Security and Privacy at the Department of Computer Science of the Open University of the Netherlands, as well as a visiting researcher at the Digital Security group of the Radboud University Nijmegen. His research focuses on the central question: how to bring the security and privacy assurances of the real world to their digital life equivalents? In that respect, Hugo has worked on fingerprint-privacy for browsers, modelling and verifying privacy of voting systems, e-health systems, and auction protocols, and designing a mixnet. 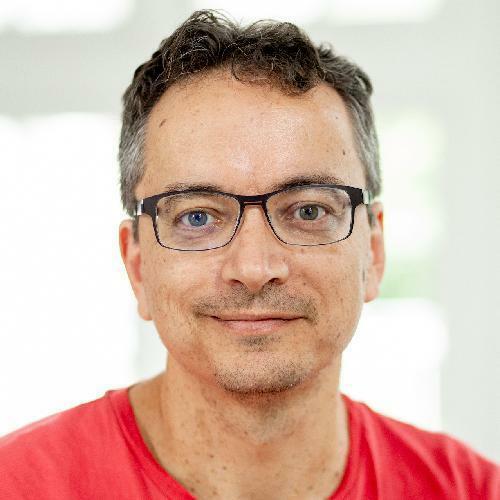 Before joining the Open University, Hugo has worked as a Postdoc or visiting researcher at the Technische Universität Darmstadt (Germany, 2011), University of Luxembourg (Luxembourg, 2009-2014), and the University of Surrey (2009). He graduated from the Eindhoven University of Technology in 2004, after which he pursued a doctoral degree. In 2009, he completed his doctoral thesis on privacy in voting and fair exchange, for which he received a joint degree from the University of Luxembourg and Eindhoven University of Technology. Alessandra is an instructor of this course. Even though she does't have a ICT background as Hugo and Roland, she is facinated by information security and this is the 2nd MOOC on this topic in which she is involved. Alessandra studied "Adults' Education and Training Development". She has worked as trainer and recruiter in two of the most renowned shipping companies in Italy. During this period she gained experience in delivering and designing both e-learning and traditional courses. These experiences sparked her interest for the academic world and, in 2012, she was employed as research fellow for the Institute for Educational Technologies (ITD) of the Italian National Research Council (CNR) in Genoa, Italy. Here Alessandra has worked in the areas of Cultural Heritage (tangible and intangible) and Serious Games, being part of several EU funded projects. In all these fields her main interest was the design of technology-enhanced learning actions. Since 2015 she is a PhD Candidate at the Welten Institute (Research Center for Learning, Teaching and Technology) at the Open University of the Netherlands. Her PhD research project investigates the Gamification of MOOC (Massive Online Open Courses) to enhance users’ goal achievement and engagement. Roland is one of the instructors in this course, but to know a bit more about him, please continue reading. Roland is researcher, teacher, and entrepreneur. 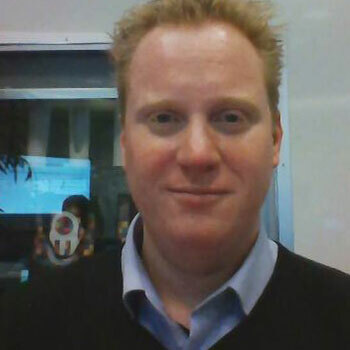 Besides being associate professor at the Welten Institute of the Open University of the Netherlands, where he heads the group of multimodal learning experiences and leads national and international research projects, he is also professor for game informatics at Cologne Game Lab of TH Köln. Additionally, Roland is CEO of Humance AG, a Cologne-based software development company specialized in mobile and web-based solutions. Roland’s research topics comprise augmented and mixed reality, multi-sensor architectures, serious gaming, game-based learning, gamification, mobile learning, web-based collaboration, and collaborative content production. His teaching includes subjects like game engine architectures, game development methodologies, game physics, and artificial intelligence for games. He is experienced in the fields of software development, mobile & wearable solutions and web-based systems. Can I login with my OUNL account? No, you cannot. Please create a new account. Thank you! Is this course directed only to people with a technical background? No. If you want to understand how the cryptography tecnique keeps your information on the Intenet safe, then this course is suitable for you! There will be tecnical info but it will be explained in a way understandable for anyone, and if something is not clear please ask us, we will be happy to help you figure it out.